I´m not sure what exactly caused such a sudden descend. Plane: History of 169 flights/missions. 167 successful and 2 problems (logs links posted here). 1200 mm (47 in) wingspan flying wing; 1,7kg; 3DR Pixhawk mini. The plane entered Descend Mode while executing a mission @ 230m AGL (about 1000m ASL). I can see that the altitude setpoint goes to 0m ASL causing the plane to rush to the ground. I would be immensely thankful if someone could help me to figure out. I have already updated the firmware on the board. The airframe was ok regarding vibrations, flight characteristics and magnetic interference. The day the plane misjudges the altitude setpoint, we had thermal column of ascending air on the area. Maybe this is the start of the problem, or maybe the fact that the plane was running older firmware. 12 commits changed 8 files with 210 additions and 210 deletions. However, the root cause of your issue in the most recent log is some sort of problem on the aircraft. 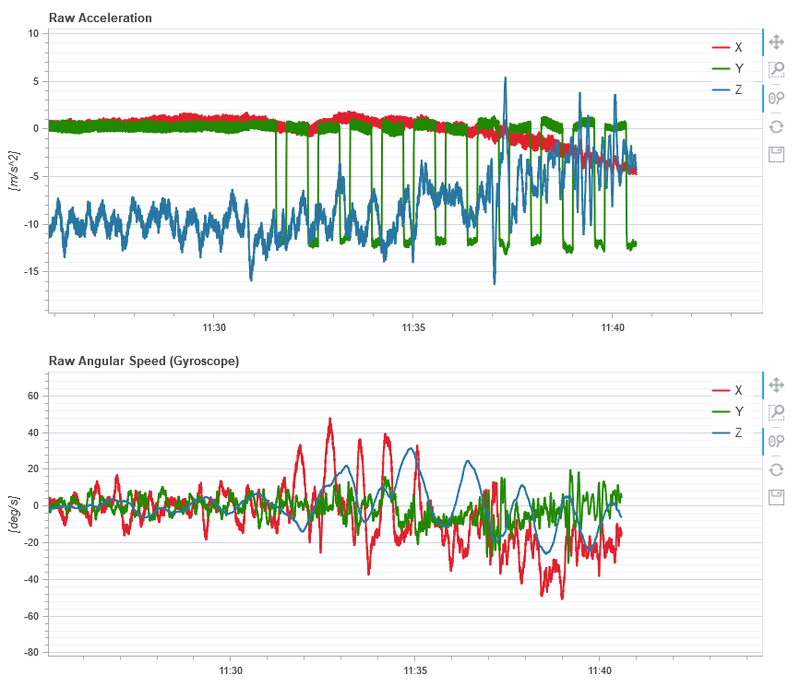 Some unusual Y-accel and gyro measurements when the failsafe kicked in, some strange vibration or flutter? Thanks a lot for the reply. I will check the vibrations.